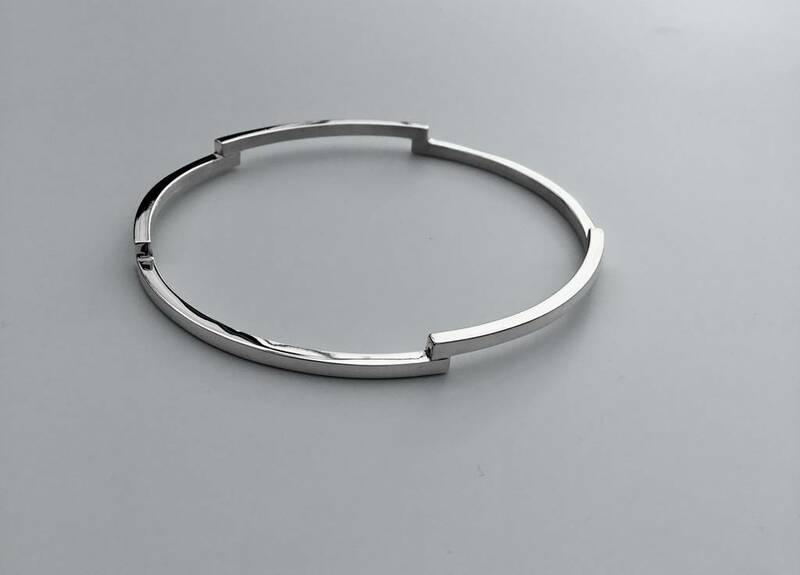 This exquisite bangle would suit a lady that loves clean lines and contemporary elegance. 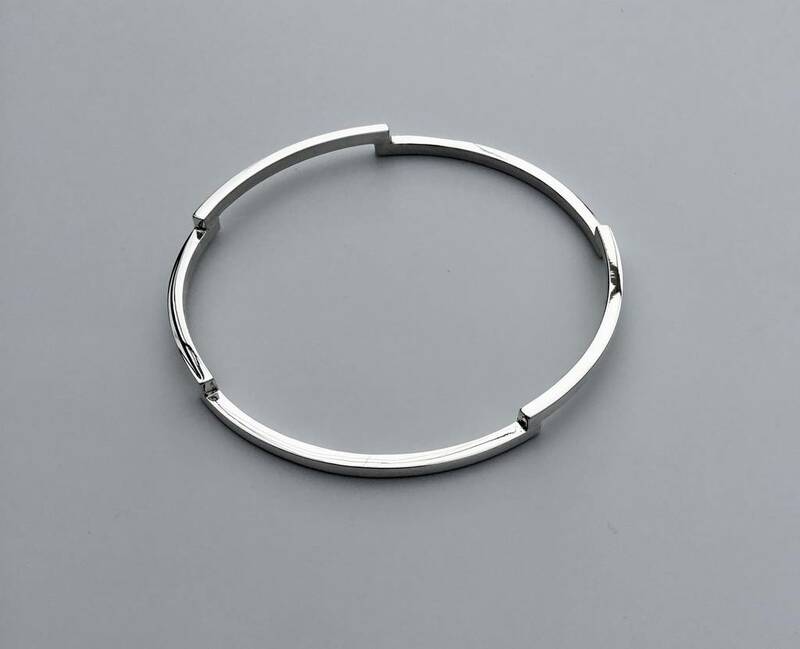 This geometric bangle sits beautifully on the wrist or pushed further up the forearm. 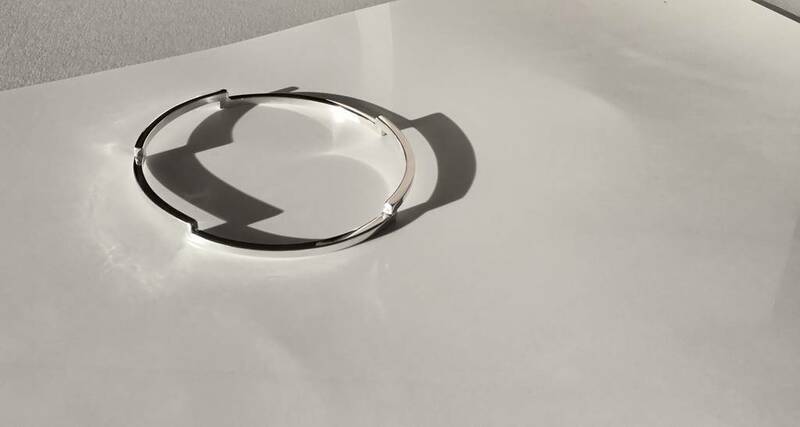 Clean lines and reflective surfaces make this a beautiful item of jewellery perfect for a special occasion. 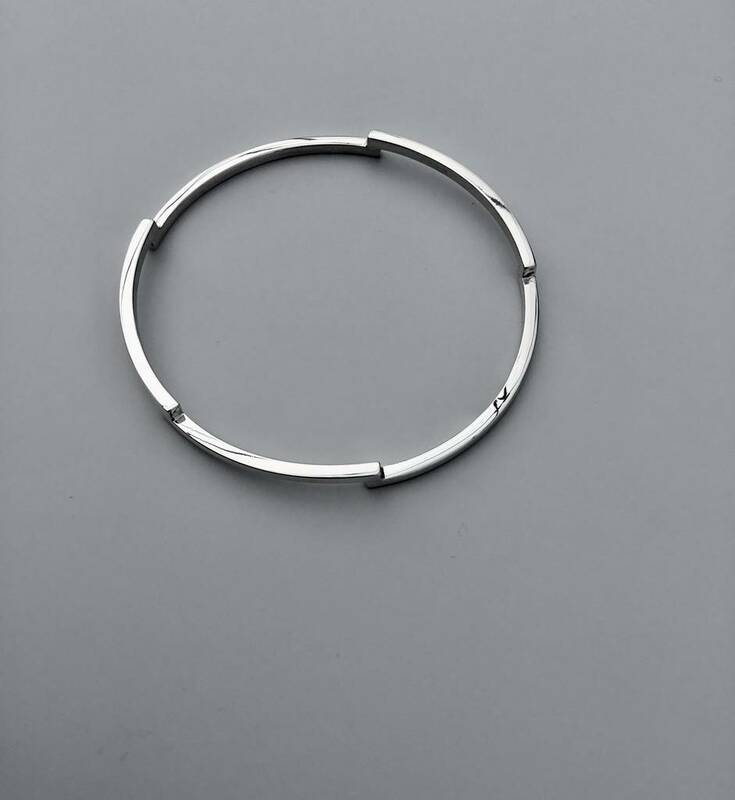 This bangle was hallmarked at the London Assay Office for your guarantee along with our unique Hania makers mark. 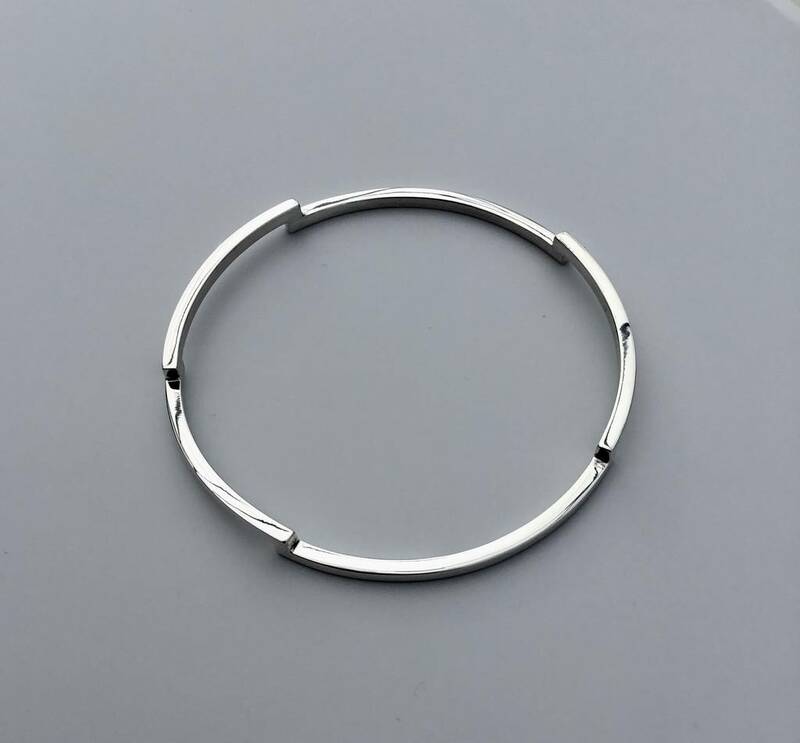 The perfect gift, this unique silver bangle will be sent gift wrapped in a textured Hania jewellery box, tied with grosgrain ribbon. 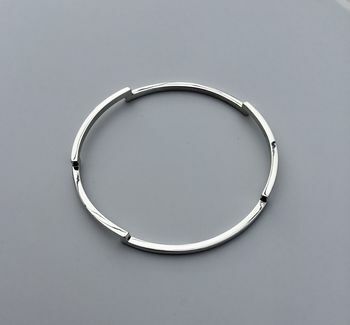 Finished with a gift tag. 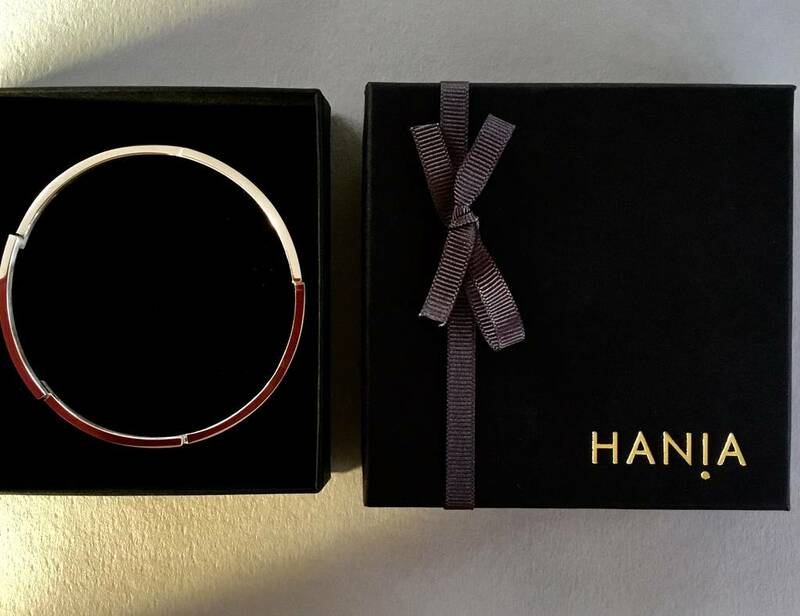 This product is dispatched to you by Hania.